Scott Kay knows it's all in the details. As though filling an empty canvas Scott Kay leads the eye across every face of this spectacular ring with intricate details of fine beading and gorgeous leaf scrolling. Masterfully crafted in platinum this semi mount features .59tdw of 2 radiant diamonds that cradle your personally selected center stone (sold separately) with additional round brilliant diamonds cascading down the band. Complete with the simple elegance of a beautifully detailed Scott Kay band sparkling with .24 carats of round diamonds encased in the detailed brilliance of platinum beading and scrolling. 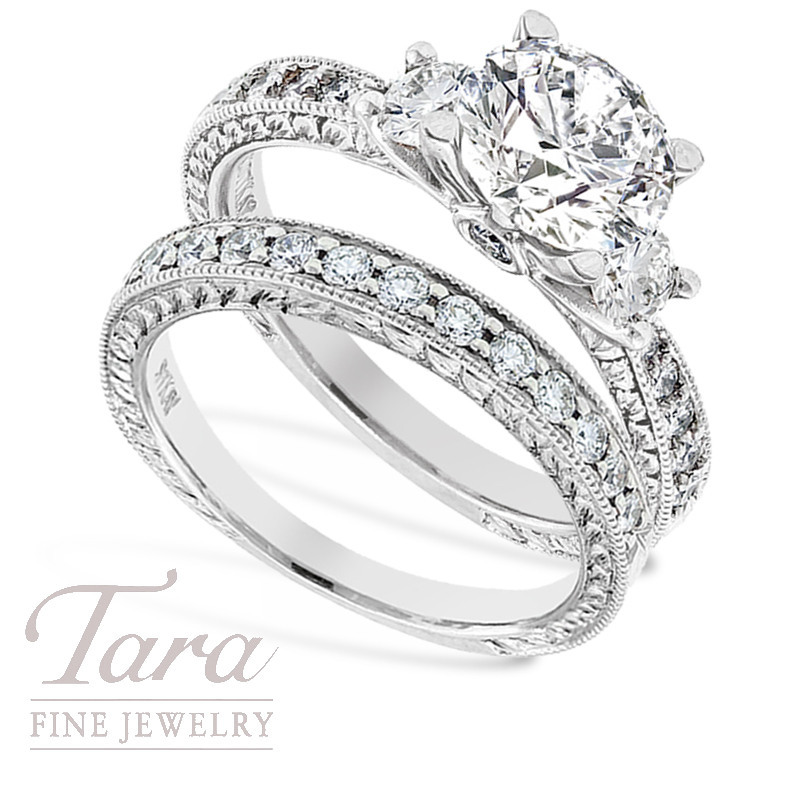 Find this gorgeous Scott Kay wedding set at Tara Fine Jewelry Company. As an official Rolex, Omega and Tag Heuer watch dealer, Tara Fine Jewelry Company is home to the top names in designer jewelry and Atlanta's finest selection of distinguished Swiss timepieces.